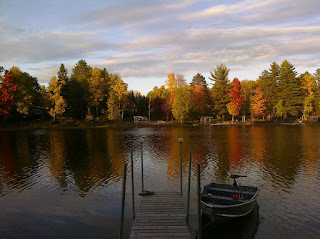 ...illuminates the fall color on the other side of the bay. Panorama of most of the bay from the end of the dock as the sun drops in the west (click to enlarge). I like this view of the bay. it doesnt look like it is drying up.